A great place to study Hospitality and Tourism, Marine Biology and Oceanography. Specialized programs in web design, video production, digital media, etc. Established in 1965, Hawai'i Pacific University (HPU) is an international learning community set in the rich cultural context of Hawai'i. It is the largest private university in the central Pacific. The University is known for its culturally diverse student body in America, with students from all 50 states and nearly 80 countries. The University prides itself on strong academic programs, small class sizes, individual attention to students, and a diverse faculty and student population. The main campus, Honolulu campus, is in the heart of Honolulu's downtown financial and business district, within the centre of the state's capital district. The Hawai'i Loa campus is located on the windward side of the island of Oahu and offers students an idyllic campus setting with rolling hills and lush greenery. In addition, the University has access to the Oceanic Institute (OI) which provides students with access to significant research programs in the marine and oceanic sciences. Over the years, Hawai'i Pacific University has received a number of accolades for academic excellence, international diversity, and the affordability of the private education offered. The University was ranked among the top Regional Universities in the West as according to the U.S. News and World Report’s annual review of Best Colleges, 2014. Bloomberg BusinessWeek magazine recognised the University among the “Best Colleges for Return on Investment.” According to USA Today, HPU placed first in the nation for diversity in 2014. 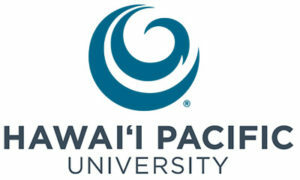 Fill in the form below to schedule with us an appointment to meet with representative for Hawaii Pacific University.